Yesterday’s photo reminded me I have a number of good photos of dragonflies I have not yet shared (though I meant to – just got distracted by frogs, you see. Perfectly understandable.). I captured this beauty while I was spending the day outside smoking pork and doing my Christmas shopping. He was polite enough to pose for a long while. This was important because again I was using my phone as camera. I am 99% certain my mother took this photo last summer. 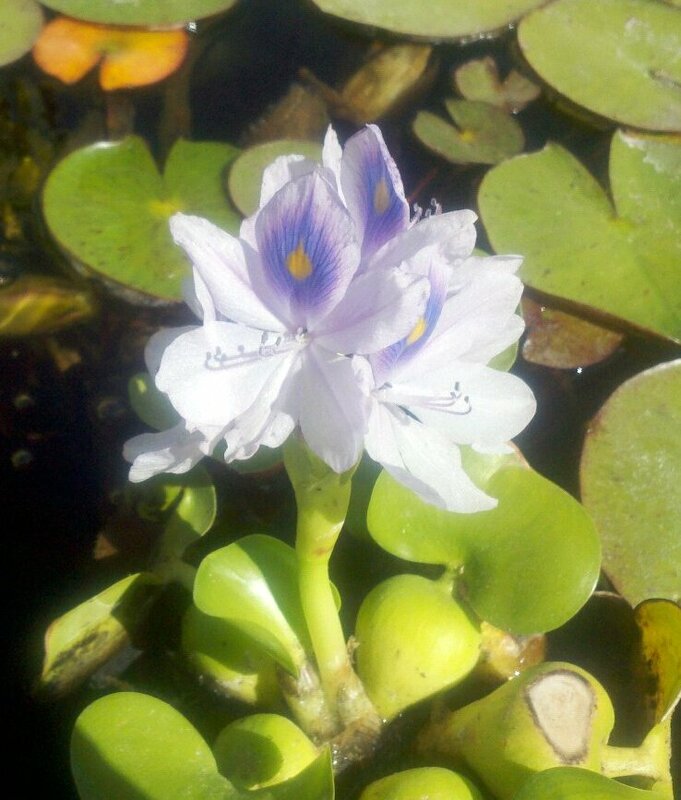 I know it wasn’t this summer because we didn’t put in water hyacinth this year. They are a lovely flower – but they bloom for about a day and that is it. Plus, they are annuals where I live. 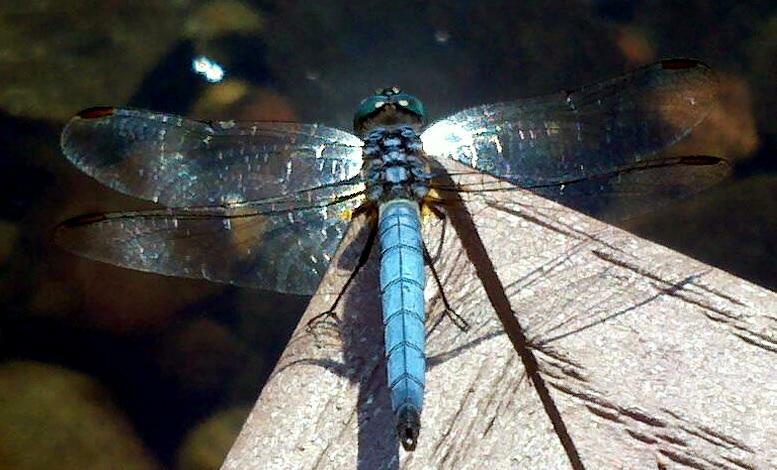 But I admit, the dragonflies did enjoy posing on top of them! Of course, this one isn’t in bloom. Below is a photo of one fully bloomed – which you have to have good timing to get since they only last a day. Apologies for the blur; I believe this was with my phone and the lens was probably not so clean. Or, you can assume I used a nice filter for this effect. In addition to frogs, we have fish and plants in our pond. 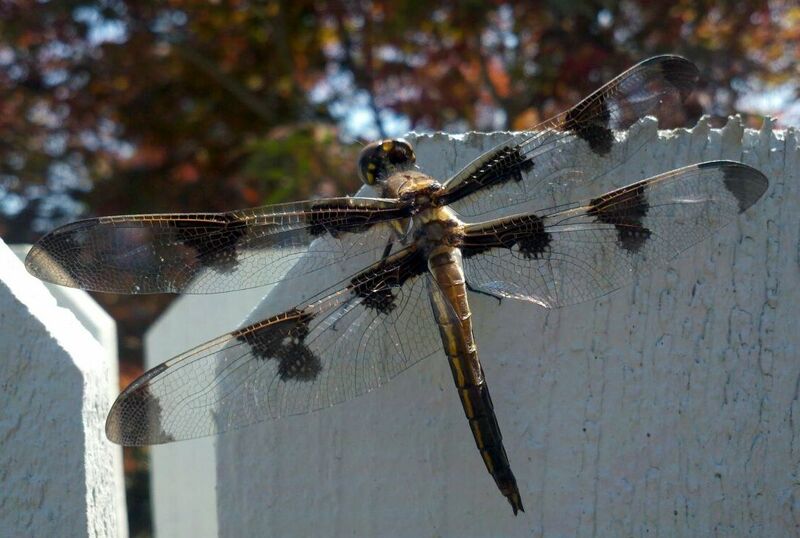 The plants (and the water) attract lots of dragonflies, which is lovely since they eat other bugs that we don’t care for. They also sometimes pose on the ends of plants for us. 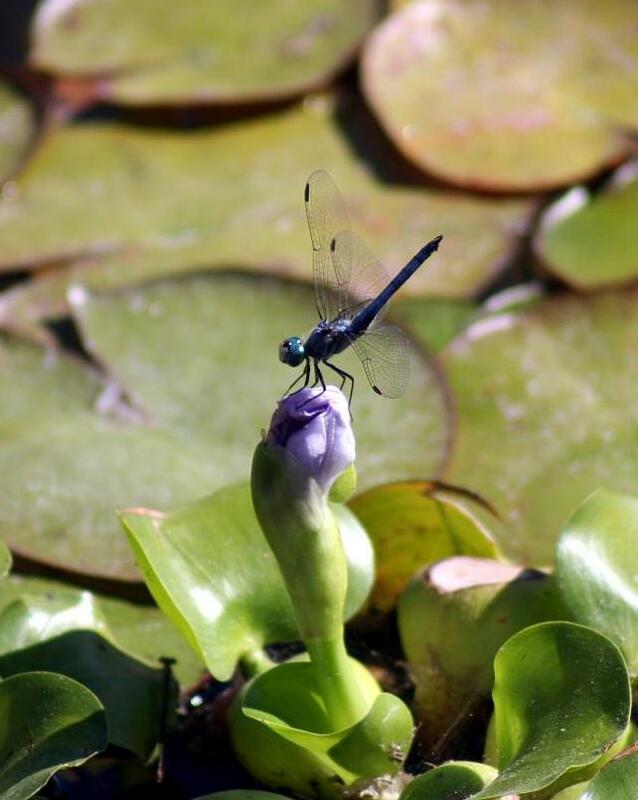 While I was out taking photos of frogs, this lovely blue dragonfly decided to sit on the tip of a water iris leaf long enough for me to capture this photo. Enjoy!